The Earth, in all its majesty and its tragedy, is the subject of images taken aboard the International Space Station. This image of the Carr and Ferguson fires was captured by European Space Agency astronaut Alexander Gerst (@Astro_Alex), on August 3, 2018, from the station. "California burning. 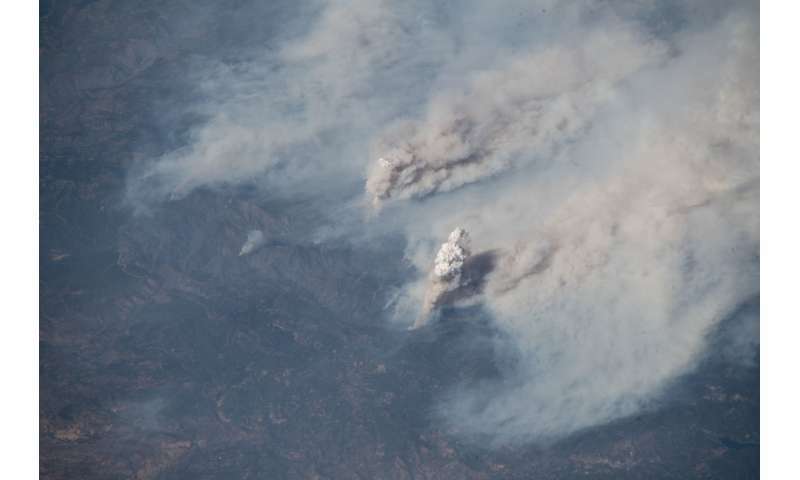 These fires are frightening to watch, even from space. Here's a shout-out from space to all firefighters on this planet, my former colleagues. Stay safe my friends!" Gerst, a geophysicist and volcanologist, wrote on his Twitter account.